At Endless Oceans we work hard to ensure all of our students leave having mastered the skills they came to Gozo to learn. The SSI Master Diver Bundle is composed of four SSI Specialty program Digital Kits and the SSI Diver Stress & Rescue Digital Kit. 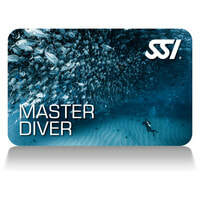 By completing the five programs, and logging 50 dives, you earn the SSI Master Diver rating. If you are planing one extended trip to Malta or are a regular visitor this could be the bundle for you. The advantages of booking the SSI Master Diver Bundle is that our team will be able to help you achieve all your diving goals and there is a savings compared to booking the Specialties separately. Price is based on the total of your four chosen specialties minus 20% plus €350.00 for the Diver Stress & Rescue.